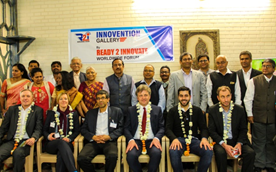 The Innovation Gallery Platform had submitted the seed grant proposal to develop an outreach program showcasing innovations from academia and individual innovators. The New Initiatives Committee (NIC),IEEE reviewed the proposal at its 22 March meeting, and after deliberations, decided to fund the project at the fully requested $4,900 USD. NIC has encouraged the team to move ahead with the project and continue developing long-term plans for the gallery and project metrics. Congratulations to Mr. Dnyaneshwar Kamble, Munir Mohammed and the team.